Being overweight can be damaging to a person’s self esteem and health. Obesity increases the risk of chronic illnesses such as diabetes, cardiovascular disease and some cancers. 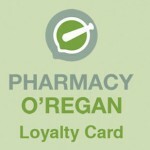 At Pharmacy O’Regan we have trained weightloss consultants on hand to educate, motivate and provide advice on products and services suitable to achieving your weightloss goals, and to help you maintain a healthy lifestyle. 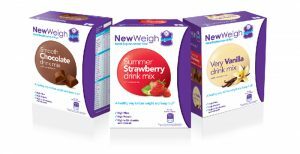 If you are struggling with your weight and have tried other diet methods without success, please enquire about NewWeigh Medical Weight Management. NewWeigh has two diet plans, which are fully supervised in our pharmacy. Both Plans combine confidential weigh-ins and advice. Replacement of all ordinary foods with a nutrient complete formulation. This strict dieting phase continues until you reach your desired weight or wish to stop. Completion of a medical questionnaire and approval from the pharmacist is required before commencing this strict form of dieting. A flexible way to diet and get your weight under control, with the support and advice from our pharmacy. Replace 1 or 2 meals a day with our tasty, high protein, high fibre, nutritious foods. Call in for a free BMI calculation and some free samples of MRP. Call one of our professionals to book an appointment today.